This topic contains 5 replies, has 3 voices, and was last updated by Jellylegs 1 year, 6 months ago. I have just received a letter from Lexham saying that they can not get a quote from their panel of insurers for me! Any idea who I should try now? Weird, AVIVA said it is a class 0 insurance on the model 30 city and so they can’t quote on it. 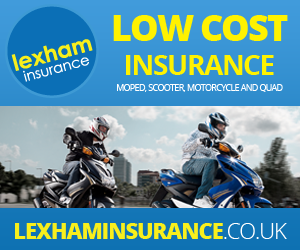 Lexham insured me no problem.